Catalyst 45xx switches do all the lifting on the supervisor card. 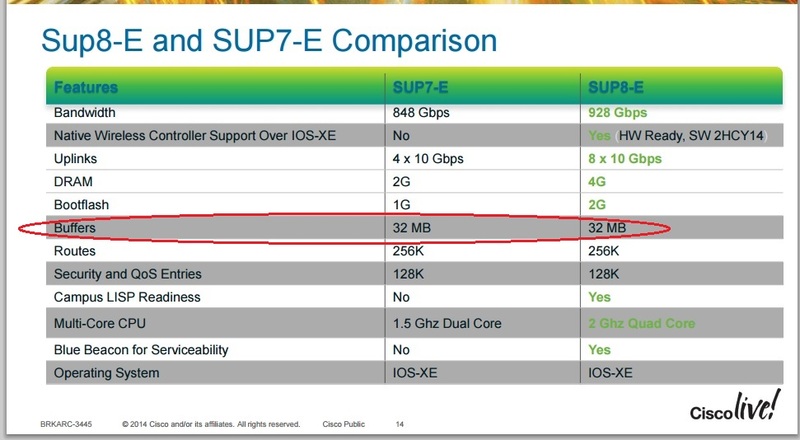 Supervisor 7 and Supervisor 8 each have a single central packet buffer pool of 32 MBytes. It is promoted as an access layer switch and, as such, backplane bandwidth is over committed. 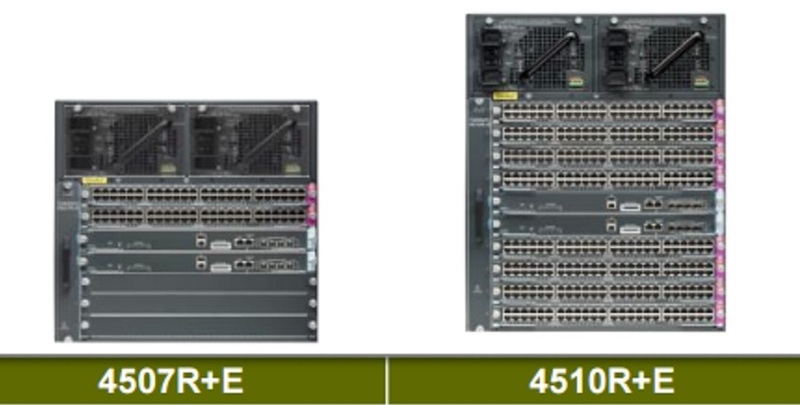 On the 12-port 10 GE interface, there is at total of 12 Gb/s of bandwidth for each group of three ports.